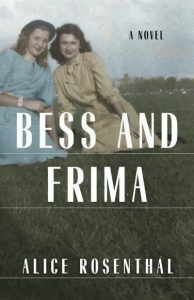 When Bess and Frima—best friends, both nineteen and from the same Jewish background in the Bronx—get summer jobs in upstate hotels near Monticello, NY, in June 1940, they have visions of romance . . . but very different expectations and needs. Frima, who seeks safety in love, finds it with the “boy next door,” who is also Bess’s brother. Meanwhile, rebellious Bess renames herself Beth and plunges into a new life with Vinny, an Italian American, former Catholic, left-wing labor leader from San Francisco. Her actions are totally unacceptable to her family—which is fine with Beth. Will their young loves have happy endings? Yes and no, for the shadow of world war is growing, and Beth and Frima must grow up fast. As their love lives entangle with war, ambitions, religion, family, and politics—all kinds of conventional expectations—they face challenges they never dreamed of in their struggles for personal and creative growth. 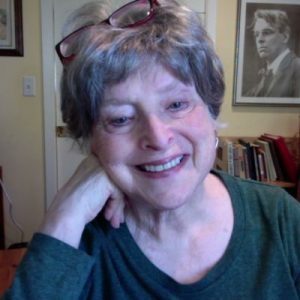 Alice Rosenthal was born and raised in 1941 in the same Bronx neighborhood as her protagonists, though a generation later. After receiving her bachelor’s and master’s degrees from NYU, she married, divorced, and settled in the Village-Chelsea area of Manhattan, where she maintained her lifestyle by copyediting for academic presses. In 1976, she moved to San Francisco and began a new worklife teaching ESL at City College of San Francisco. She loves reading, gardening, baking, cooking, making things with her hands, and shmoozing with her friends and family. She is the author of the novel Take the D Train, as well as articles published in the San Francisco Chronicle and Jewish Currents magazine. Thank you to TLC Book Tours and She Writes Press for gifting me a copy of this book, in exchange of an honest review. I enjoy Historical Fictions, and I enjoy Historical Fictions based on friendship, and hard times. This book had both, so I was prepared to love it. While reading it, I was drawn to the character of Bess/Beth. I related to her rebellious ways, her out of the box thinking, and her fearless way of going after she wanted. She chose a path that wasn’t conventional, and she stood her ground. I found myself engaged with the writing, and it held my attention, but it was missing something for me. It’s hard to pinpoint what though. I think I expected it to be much more intense, and dramatic, and some parts just fell slightly flat for me. But that’s easily overlooked because I had the desire to get to the end, to see how Bess and Frima’s stories were wrapped up. It was a good read, and I think many historical fiction readers will enjoy this one.